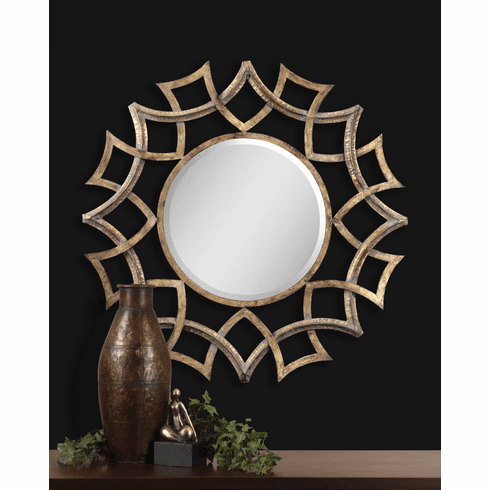 This ornate mirror features an antiqued gold finish with a light gray glaze and burnished edges. Mirror has a generous 1 1/4" bevel. Copyright � 2007 Trends & Traditions All Rights Reserved.